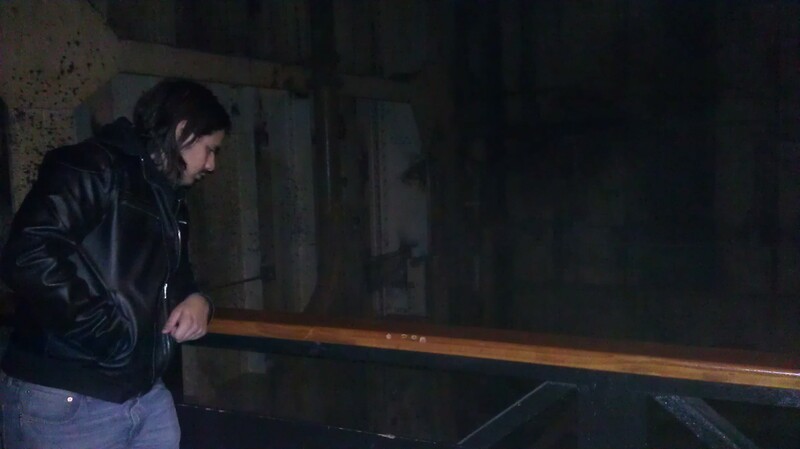 The Queen Mary is purportedly one of the most haunted places in California. This luxurious ocean liner, listed on the National Register of Historic Places, sailed the seas from 1936 to 1967 and has carried everyone from glamorous celebrities, to royalty, and dignitaries. She has even served in World War II as a troopship transporting thousands of Allied soldiers across the Atlantic. 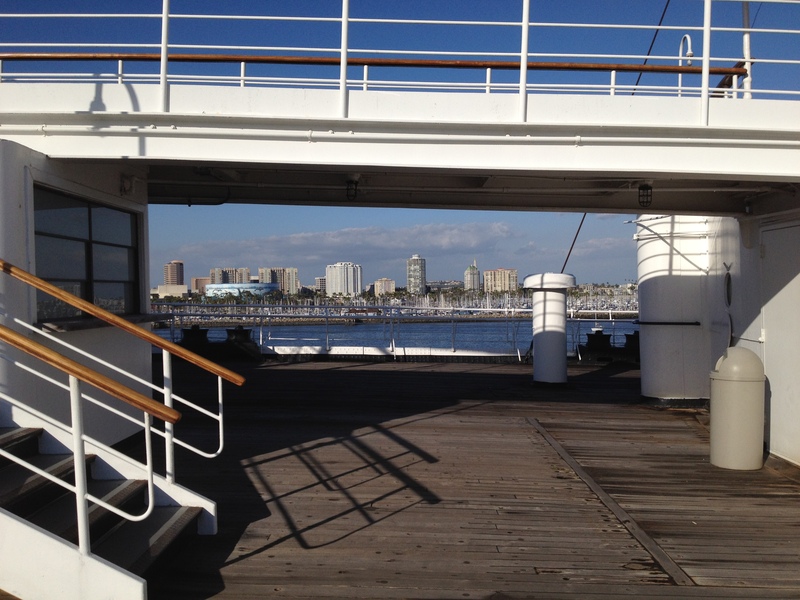 The Queen Mary is now permanently docked in Long Beach Harbor and serves as a hotel and event venue. With all this rich history, it’s no wonder that she is believed to house a few ghosts. In the spirit of the season, I think it’s about time I wrote about my weekend aboard this grand ship. “Surreal” is the best word I can use to describe seeing the Queen Mary in person on a clear moonlit night for the first time. She definitely stands out and commands your complete attention as you pull into the parking lot. This is easily one of the most unique places I have ever stayed in. The second you step across the threshold, you feel transported to a different time and place. There is definitely a distinct energy emanating from these walls. 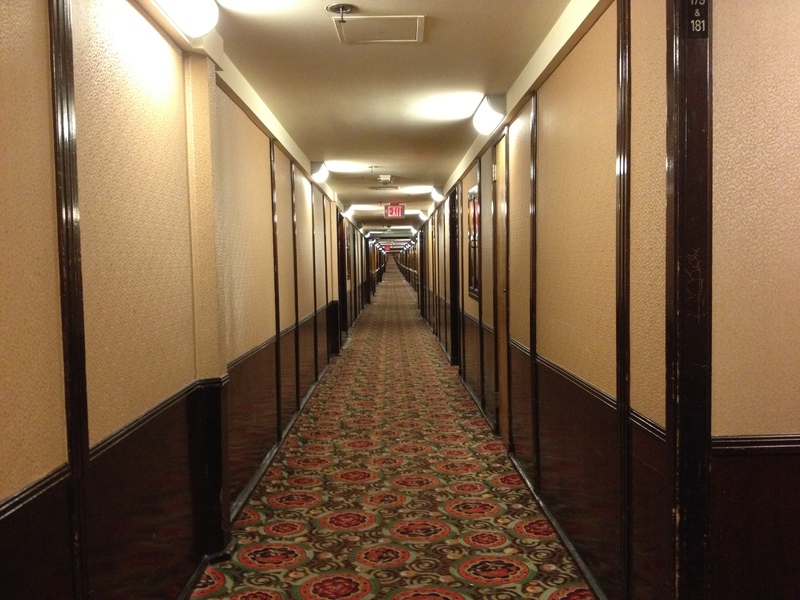 Passageway to the First Class accommodations. During the day, when the cloak of night is lifted from the harbor, the ship seems to foster a more lively, festive feeling and offers guests an array of activities to partake in. 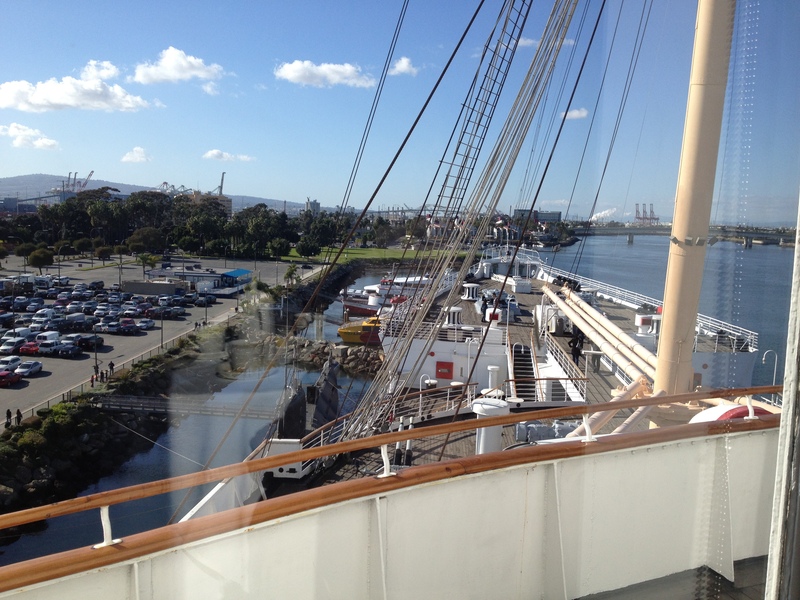 You can choose from a variety of historical tours and exhibits, or you can cruise along the ship’s deck and enjoy the shops, restaurants, and amazing views. 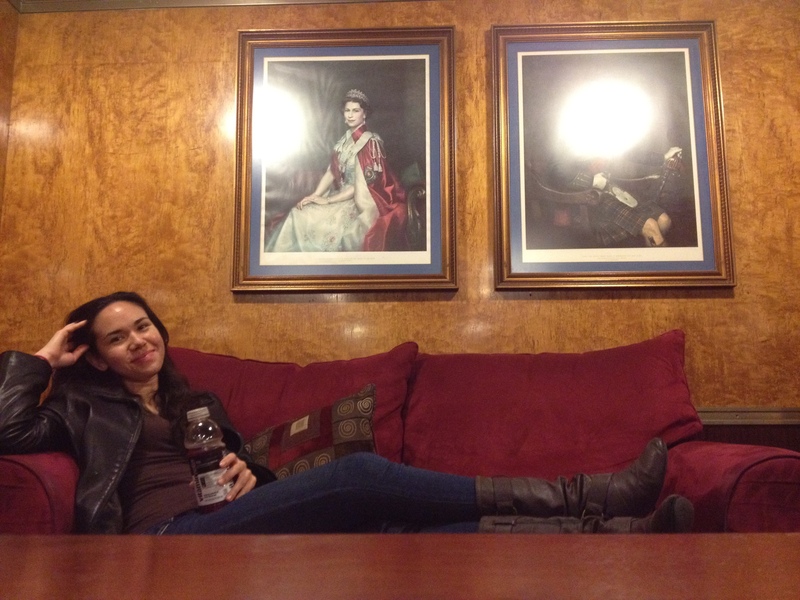 My favorite travel partner treated me to the Diana: Legacy of a Princess exhibit, and afternoon tea in the ship’s elegant Tea Room. I had a ball gawking at the beautiful collection of dresses worn by Princess Diana herself. I wish we were allowed to take photos! 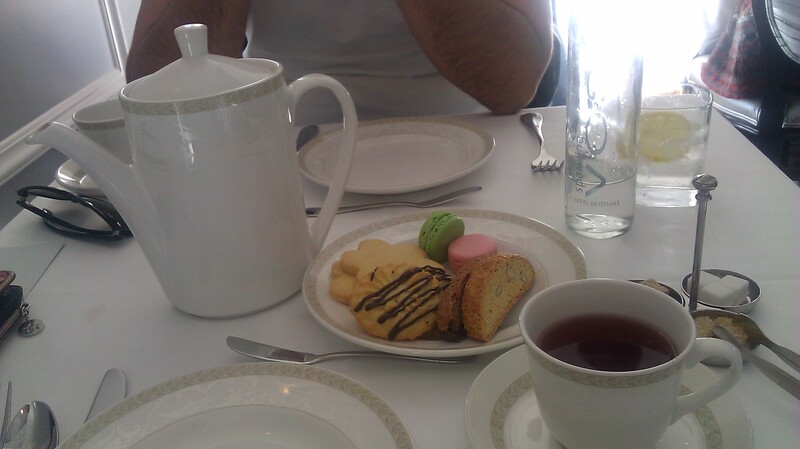 The Tea Room is very quaint and has an assortment of delicious teas and deserts to choose from. 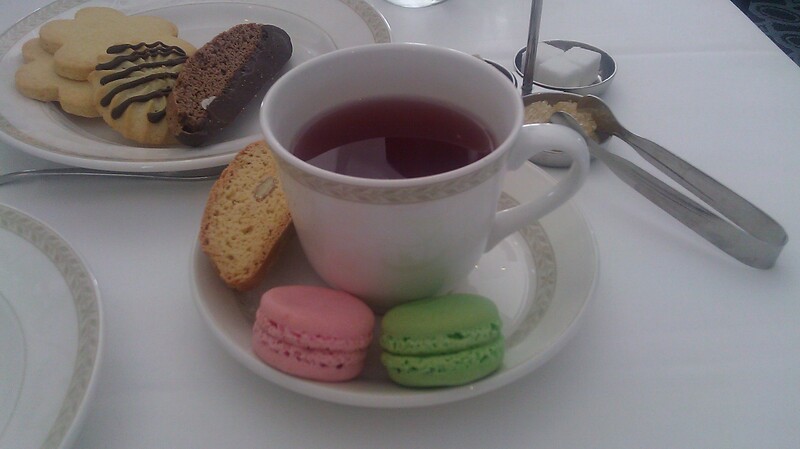 I loved the hibiscus tea and macaroons! 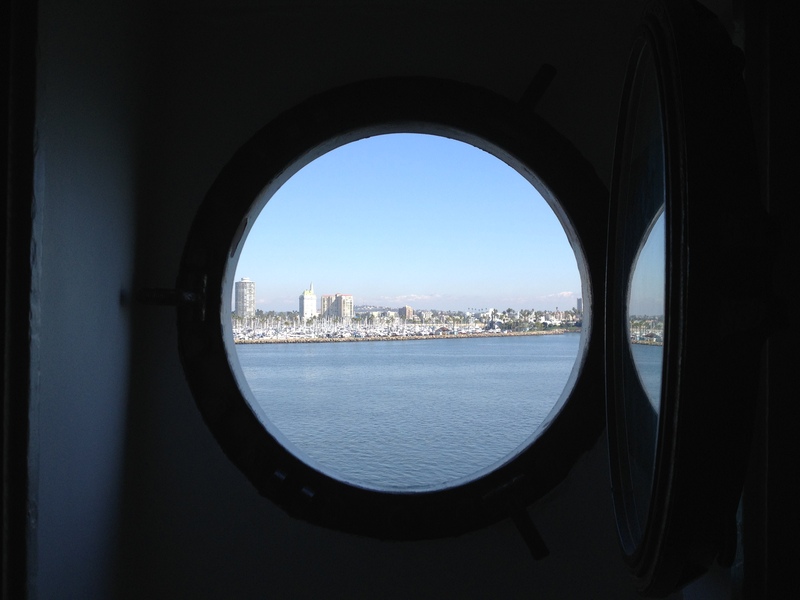 Ask to sit by the windows to take in the pretty views of the harbor! 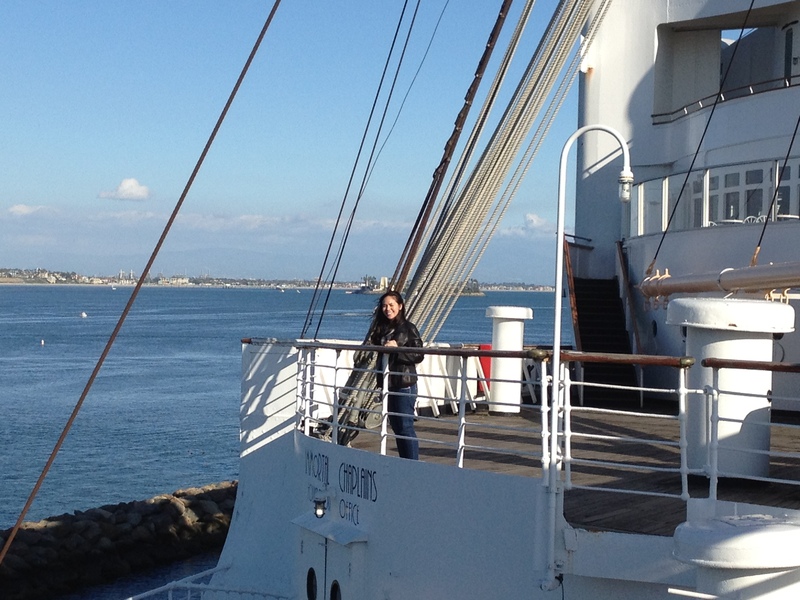 After tea time, we took a nice stroll along the upper deck of the ship to take in the views of Long Beach Harbor. 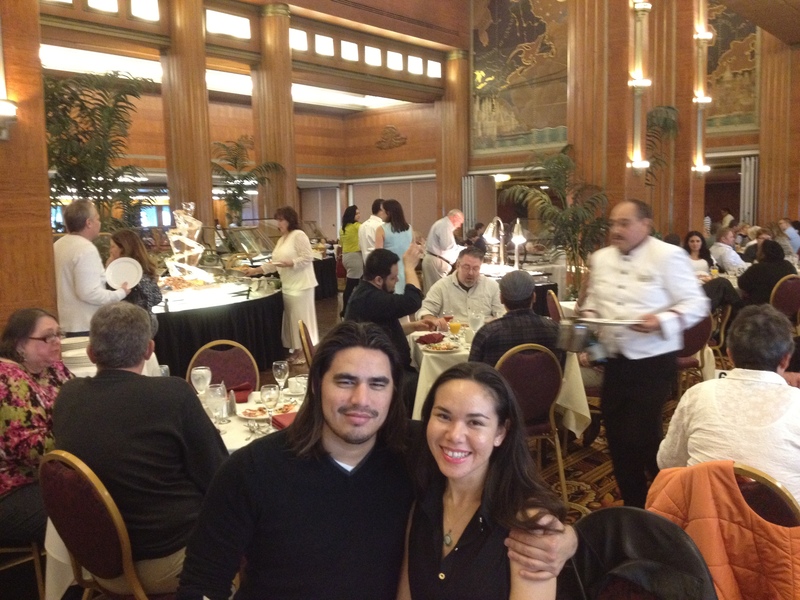 Don’t miss having Champagne Brunch in the beautiful Grand Salon. There is a wide variety of dishes to choose from including omelets made to order, pancakes, hash browns, fresh fruit, salads, and a meat carving station serving prime rib and leg of lamb. Free flowing bubbly is included and the mood is set by a live harpist playing beautiful music. I think this was the highlight of the trip for my favorite travel partner! 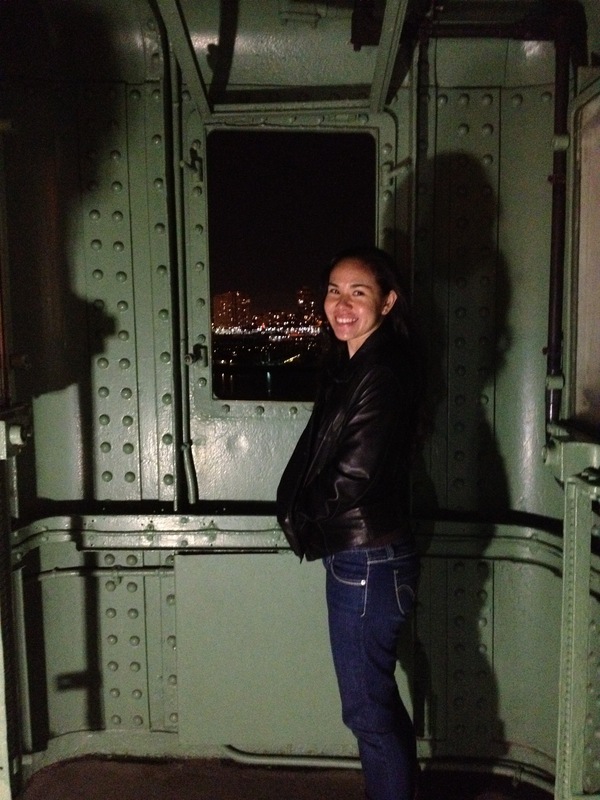 Well what’s a weekend stay on a haunted ship without indulging in a little ghost hunting tour? As soon as the sun went down, we geared up for a night tour of the ship. Being that this is the most popular activity aboard the Queen Mary, I highly suggest that if you want to go looking for spirits, you better book early! Being briefed about what we may see on this tour by our awesome guide! 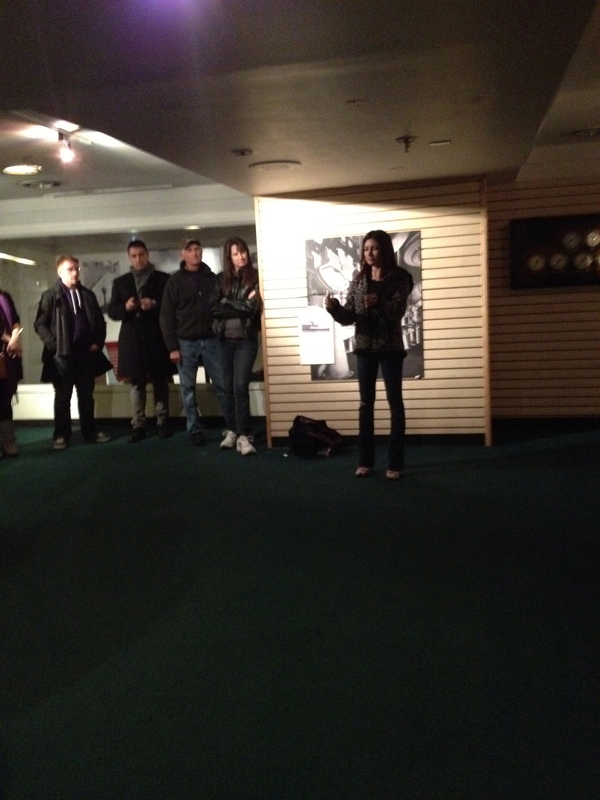 Even if you are a skeptic, the tour is worth checking out for the stories and experience alone! 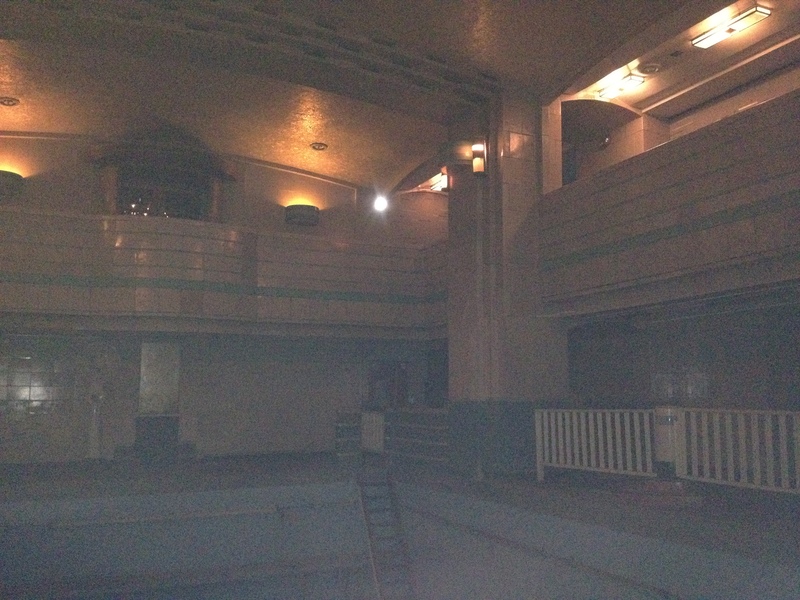 There was a portion of the tour where we stood in individual stalls of the haunted pool area and there is believed to be a portal to another dimension where “shadow people” are believed to wander. It was pitch black and I was totally freaking out. My skeptical travel partner was even a bit perturbed during this part. I’m smiling, but I’m scared! Oh yeah! 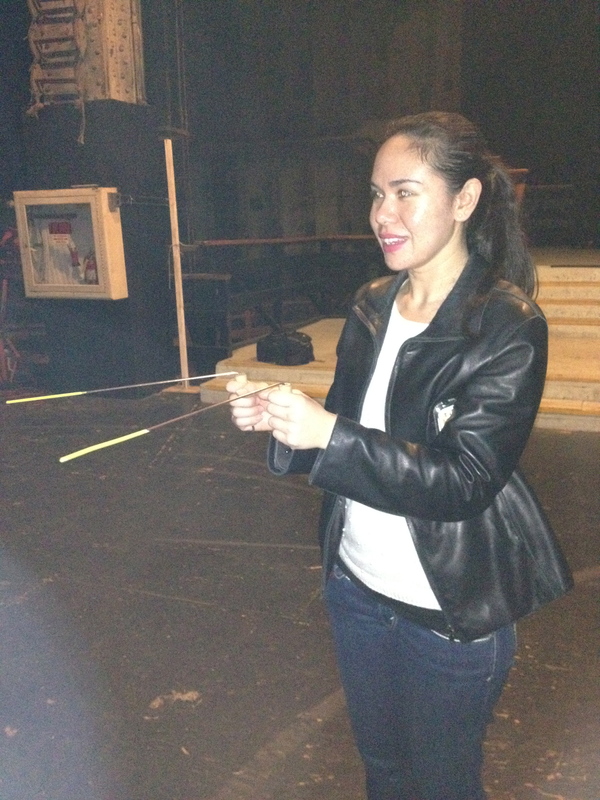 I’m a real ghost hunter now! I’ve got tools!! Watch out ghosties! I can’t tell you that I saw or heard anything out of the ordinary while on this tour. However, I can tell you that I really did feel some sort of presence, or multiple presences among us. But you know what? I felt this way during my entire stay here aboard the Queen Mary. 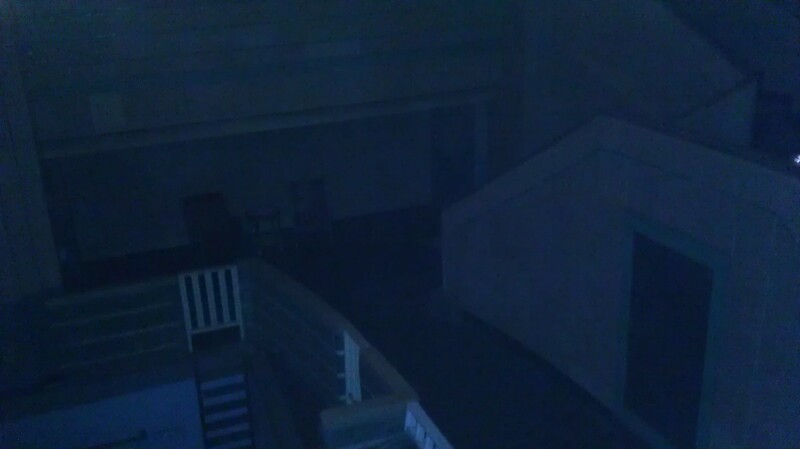 I may not have seen or heard anything ghostly (thank goodness, because I would have peed my pants) but I did feel a lot of unique energy. It wasn’t scary or evil. To me, it almost felt like a lonely feeling. Similar to a feeling you get when you are reminiscing about days gone by. If you are in for more spooks, the Queen Mary hosts an annual Halloween attraction called “Dark Harbor.” I have yet to check it out, but It’s definitely on my list! I mean it would be so much fun (is that the right word?) to experience a haunted themed attraction on an attraction that’s actually haunted! Thanks lady! 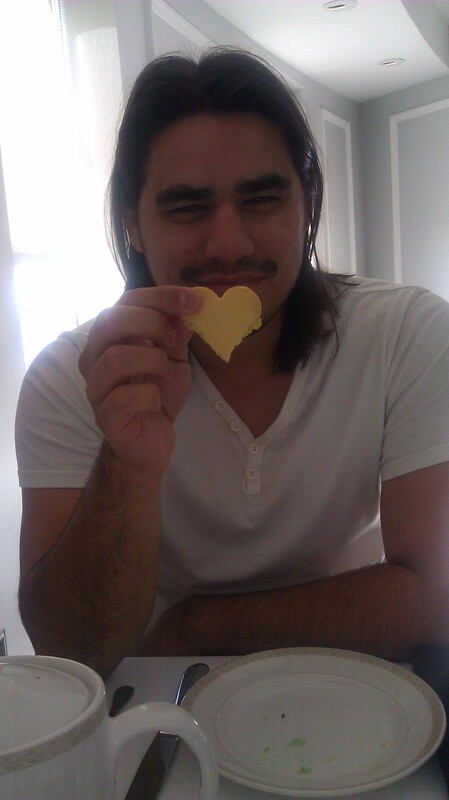 Yeah, you gotta try the Tea Room! You’d love it!